Justice Vipin Sanghi also rejects request of recusal. 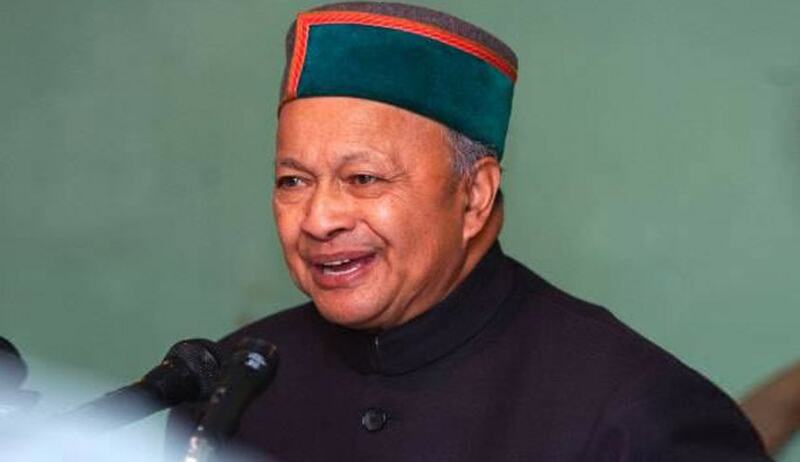 In yet another setback to Himachal Pradesh Chief Minister Virbhadra Singh, the Delhi High Court has dismissed his plea seeking quashing of a disproportionate assets case against him registered by the Central bureau of Investigation. Earlier, the Supreme Court had transferred the said plea by the Chief Minister of Himachal Pradesh from Himachal Pradesh High Court to Delhi High Court, while allowing a transfer plea by CBI which had alleged that he was using his influence in the state, being its chief minister. Justice Vipin Sanghi of Delhi High Court was assigned to hear the plea and after detailed hearing, the judge reserved the case for orders. Singh, through his counsel, requested the judge to recuse himself from the case on the ground that Attorney General Mukul Rohatgi, who represented the CBI before the Supreme Court, is related to Justice Sanghi as his sister is married to the AG. Also, the AG represented the present Central government, which is inimical towards Virbhadra Singh. One of the contentions urged was that the CBI did not have the jurisdiction to register and hold a second PE when the first PE on the same facts and into the same allegations had already been conducted and closed. But the court found that the second primary inquiry in the present case is on a different aspect than the first primary inquiry as discussed hereinabove and there was no illegality in the opening of the second preliminary inquiry. The court also observed that there is no legal basis to claim that the permission of the Speaker of the Himachal Pradesh Legislative Assembly was mandatory before registration of the FIR/ RC in the present case, which pertains to the tenure of Virbhadra Singh, while he was a Central Minister under the Union government during the check period. The court also observed that since the case/ RC has been justifiably registered in Delhi by the CBI, if the investigation (including the raid on the premises of the sitting Chief Minister) has been conducted by the CBI in the area of state of Himachal Pradesh in accordance with law, the same would not dilute the basic structure of Constitution of India.